¡Esto es jauja! : Totally insane! 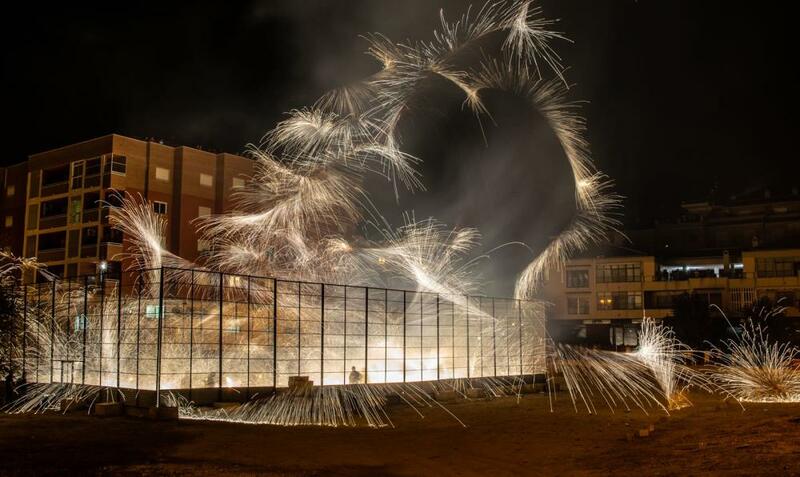 In case you were wondering what it is like to go down between 3am and 5am to watch La Cordá organised by the Association of Carretilleros, here it is on one of Fonta's photos. First off, you have to have a licence before they will allow you in the cage. Then you have to wear layers of protective clothing which must leave you dripping with sweat. Finally, you need to buy your fireworks which can cost upwards of 1,000 Euros. The reward is this spectacular display which Fonta has recorded for us.